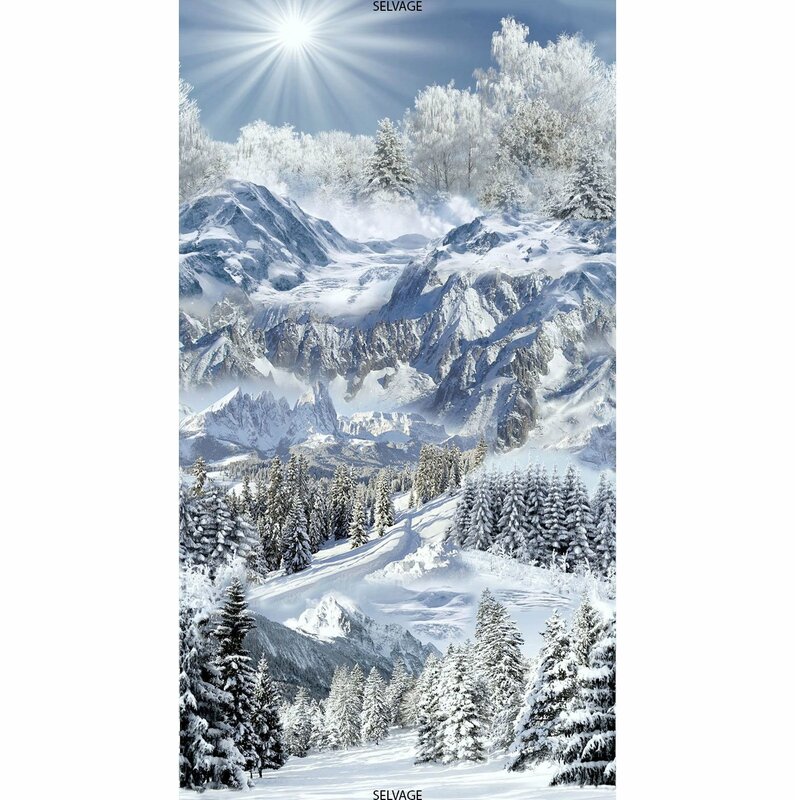 Panel from the Snowscape fabric collection by Timeless Treasures. 100% cotton, measures 24" x 43-44". Features a beautiful snowy mountain.